With May starting the day after tomorrow, it was high time I decided on a pledge and signed up for MMM’14! I’d been sure I’d participate again this year for a long time already, but I’d been mulling over what pledge to take for at least as long a time… The thing is, I was afraid my ideal pledge, which is wearing only me-made clothing (with exceptions such as shoes, underwear…), would be too big a challenge, one that I would be bound to fail. But then I took a closer look at my handmade wardrobe and I actually think it can be done. 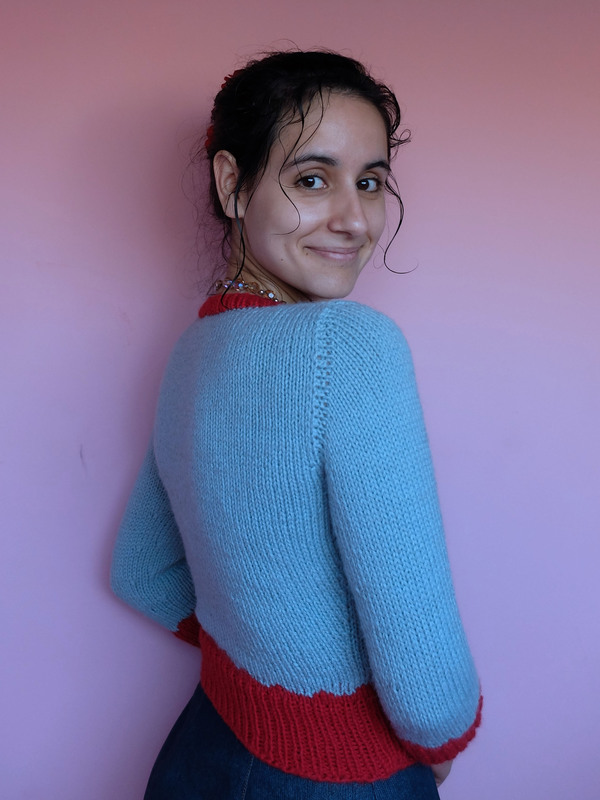 It will be harder than last year, that’s for sure, but I also think it will be even more rewarding, and I’m pretty sure there’s no better way to help me identify the holes in my me-made wardrobe! Aaand here it is! Not the most complicated project, but I like the result very much! 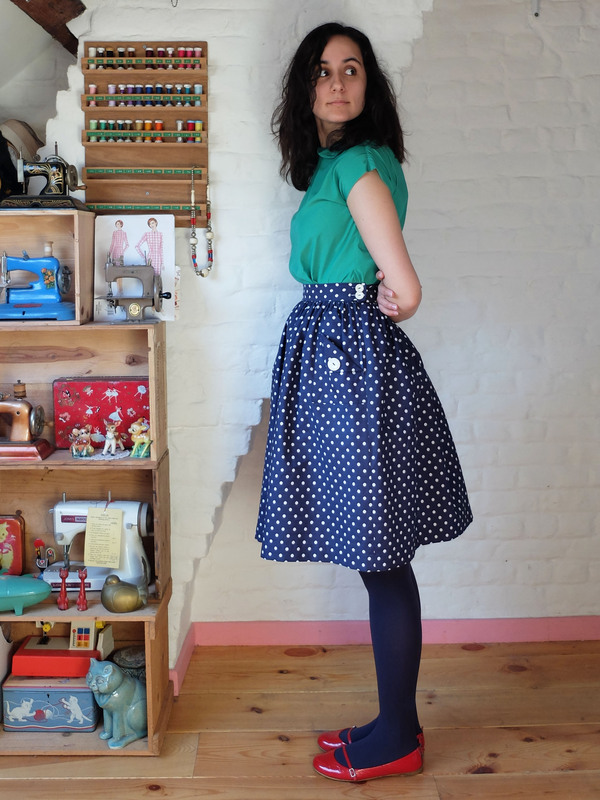 I had been meaning to sew myself a skirt like that for years, but you know, so many ideas, so little time… The fabric is actually one of the firsts I ever bought! 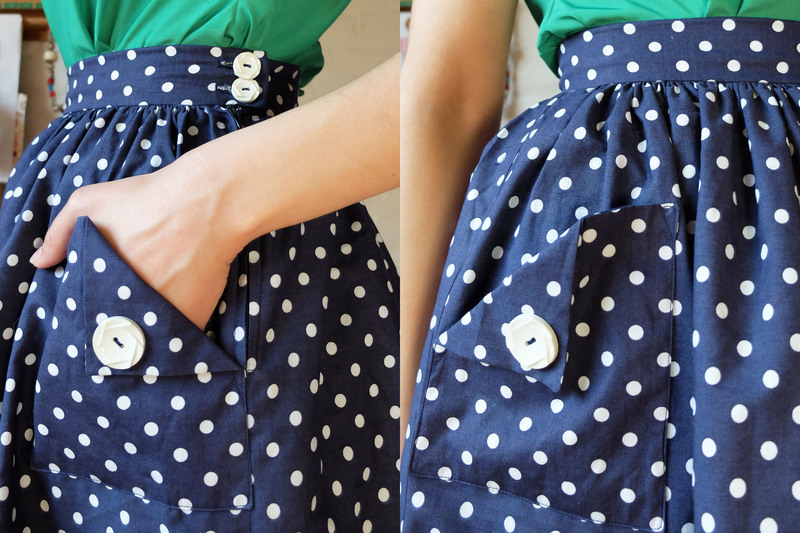 I had already sewn a skirt with it, which I wore a lot, but I’ve gotten more used to high waisted skirts (and pockets!) so I had been wearing it less and less and meaning to replace it with a new one. 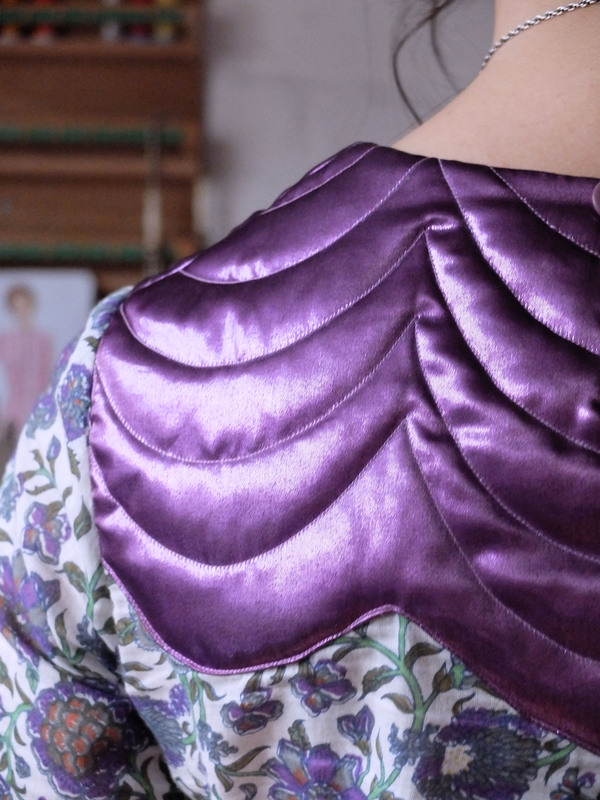 After sewing my modified Sureau, I was in desperate need of a simple project, one that I could complete in a day or two. 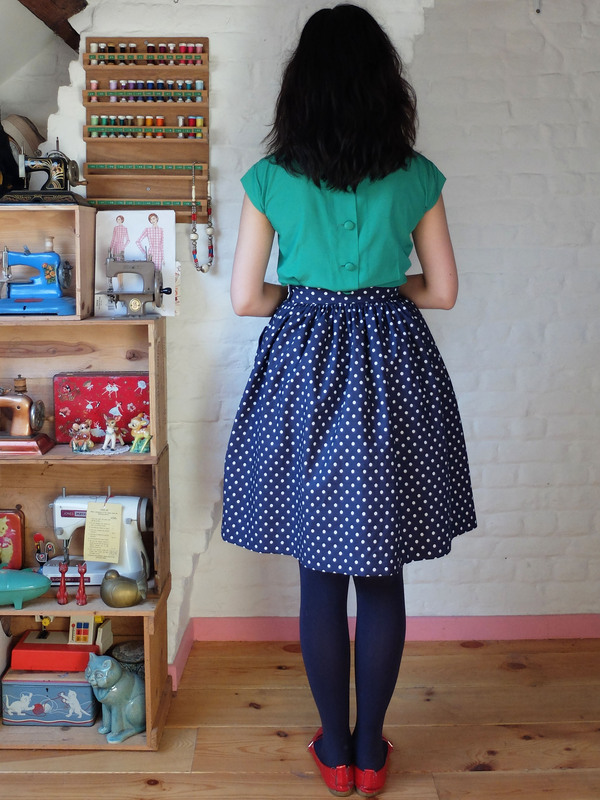 I contemplated sewing a tote bag, then I set my mind on that gathered skirt. While I do need a (few) tote bag(s), getting a new skirt was much more tempting! The skirt itself took me a day but I decided to put off sewing the pockets to the next day so as not to rush things and make a mess out of them. And I must have made the right choice because everything went smoothly as can be; I didn’t use the seam ripper even once! Even the zipper went in without a hitch (okay, it’s not the most difficult kind, but still!). 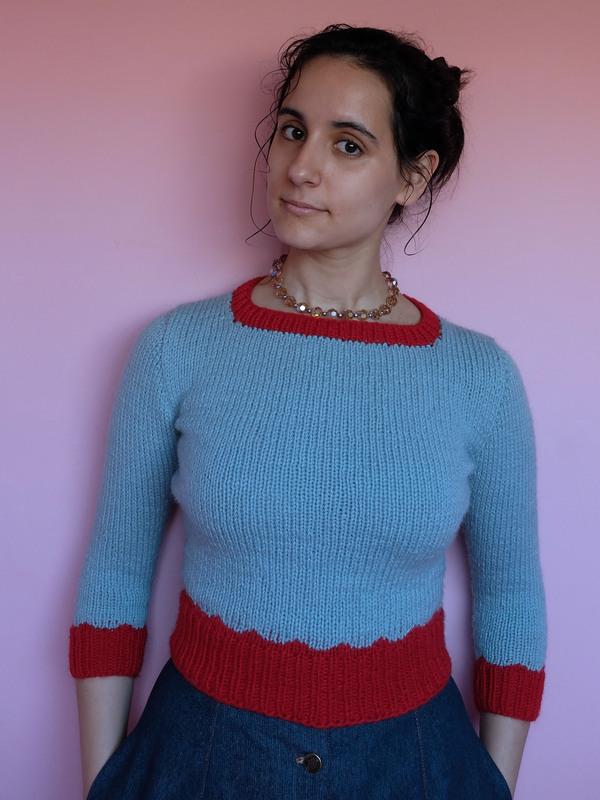 I used Gertie’s book to make the skirt pattern, but you can find the same information on her blog (part one – part two). For the pockets I followed A Fashionable Stitch’s tutorial. 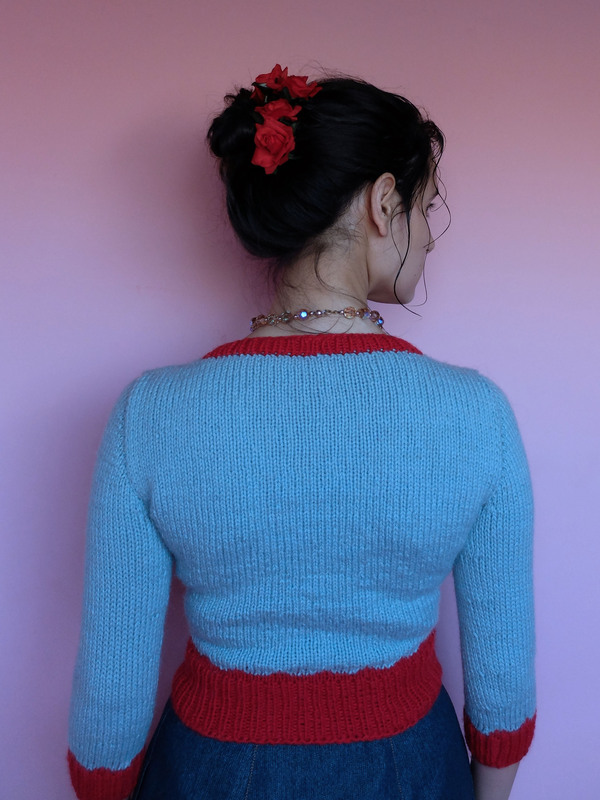 Both Gertie’s and this one were very clear and easy to follow and yielded great results. I’m really happy with the buttons: big ones on the pockets, small ones at the waistband. 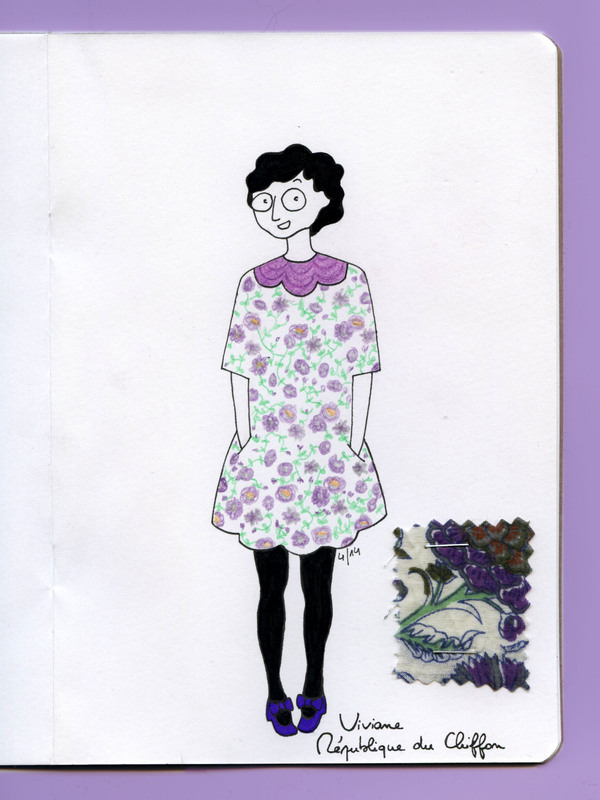 They’re from Gotex, one of my favourite fabric stores in Brussels, from a €1 bin full of old dusty button cards. The two buttonholes that close the waistband are a touch too small for the buttons, but at least they feel secure and they were parallel and the same size as each other, so I didn’t bother remaking them. I haven’t worn the skirt yet (I always fear if I wear a garment I haven’t photographed yet it will get ruined before I can take the pictures or something), but I’m pretty sure it will get in heavy rotation as it’s the kind of skirt I can see myself wearing both with or without tights, which means I can wear it all year long. I guess you’ll see it again soon with Me-Made-May coming up! 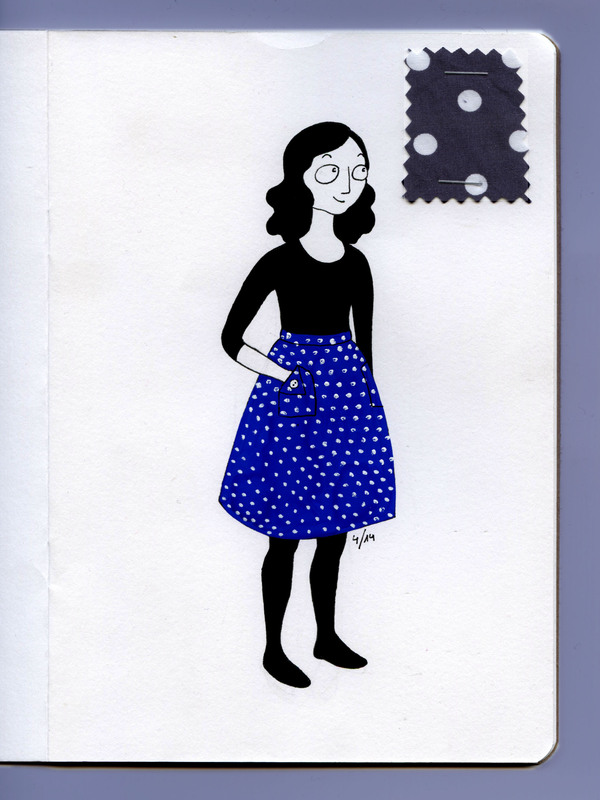 This skirt has actually been finished for more than a week, but I couldn’t muster the courage to draw before today. As for the courage to take pictures, well, I’m still looking for it. Thankfully I’m on holiday at the moment, so it shouldn’t be too long before I find it. 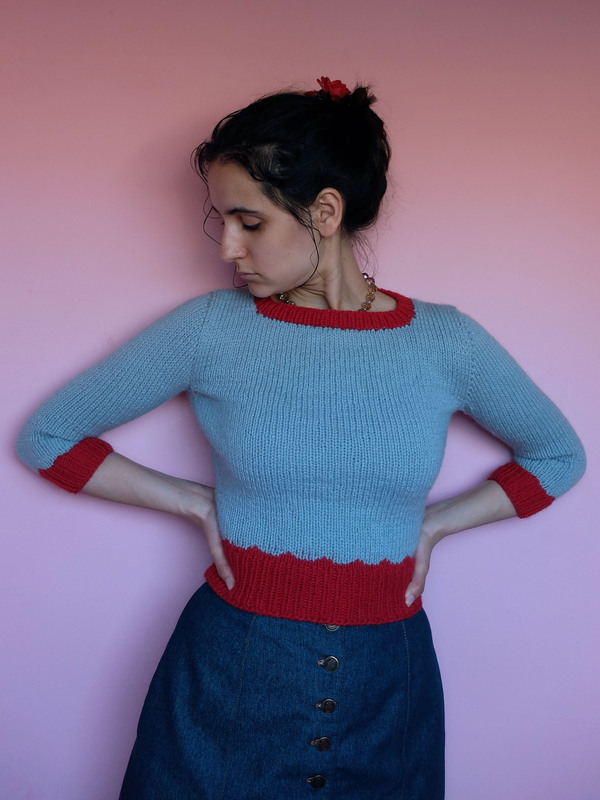 It’s a simple gathered skirt (following the explanations in Gertie’s book) to which I added cute pockets per this great tutorial. I have to say the result is much prettier in real life than on my poor little drawing. Better that than the contrary, right?